Two species of Mako sharks, close relatives of great white sharks, inhabit the world's oceans – shortfin makos and longfin makos. One characteristic that sets these sharks apart is their speed: The shortfin mako shark holds the record for being the fastest shark in the sea and is among the fastest swimming fish in the world. How Fast Do They Swim? The shortfin mako shark has been clocked at a sustained speed of 20 mph, but it can double or triple that speed for short periods of time. Shortfin makos can reliably accelerate to 46 mph, and some individuals may even reach 60 mph. Their torpedo-shaped bodies enable them to surge through the water at such a rapid speed. Mako sharks also have tiny, flexible scales covering their body, allowing them to control the flow of water over their skin and minimize drag. And shortfin makos aren't just fast; they can also change direction in a split second. Their remarkable speed and maneuverability make them lethal predators. Any large shark, including the mako, can be dangerous when encountered. Mako sharks have long, sharp teeth, and they can quickly overtake any potential prey thanks to their speed. However, mako sharks don't usually swim in the shallow, coastal waters where most shark attacks occur. Deep-sea fishermen and SCUBA divers encounter shortfin mako sharks more often than swimmers and surfers. Only eight mako shark attacks have been documented, and none were fatal. The mako shark averages about 10 feet long and 300 pounds, but the largest individuals can weigh well over 1,000 pounds. Makos are metallic silver on the underside and a deep, shiny blue on the top. The main difference between shortfin makos and longfin makos is, as you may have guessed, the length of their fins. Longfin mako sharks have longer pectoral fins with broad tips. Mako sharks have pointed, conical snouts, and cylindrical bodies, which minimizes water resistance and makes them hydrodynamic. The caudal fin is lunate in form, like a crescent-shaped moon. A firm ridge just ahead of the caudal fin, called a caudal keel, increases their fin stability when swimming. Mako sharks have large, black eyes and five long gill slits on each side. Their long teeth usually protrude from their mouths. Mako sharks belong to the family of mackerel or white sharks. The mackerel sharks are large, with pointed snouts and long gill slits, and they're known for their speed. The mackerel shark family includes just five living species: porbeagles (Lamna nasus), salmon sharks (Lamna ditropis), shortfin makos (Isurus oxyrinchus), longfin makos (Isurus paucus), and great white sharks (Carcharodon carcharias). Not much is known about longfin mako shark reproduction. Shortfin mako sharks grow slowly, taking years to reach sexual maturity. Males reach reproductive age at 8 years or more, and females take at least 18 years. In addition to their slow growth rate, shortfin mako sharks have a 3-year reproductive cycle. This extended life cycle makes the mako shark population extremely vulnerable to practices like overfishing. Mako sharks mate, so fertilization occurs internally. Their development is ovoviviparous, with young developing in a uterus but nourished by a yolk sac rather than a placenta. Better developed young are known to cannibalize their less developed siblings in utero, a practice known as oophagy. Gestation takes up to 18 months, at which time the mother gives birth to a litter of live pups. Mako shark litters average 8-10 pups, but occasionally as many as 18 may survive. After giving birth, the female mako won't mate again for another 18 months. Shortfin and longfin mako sharks differ slightly in their ranges and habitats. Shortfin mako sharks are considered pelagic fish, meaning they inhabit the water column but tend to avoid coastal waters and the ocean bottom. Longfin mako sharks are epipelagic, which means they inhabit the upper portion of the water column, where light can penetrate. Mako sharks inhabit tropical and warm temperate waters but aren't usually found in colder water bodies. Mako sharks are migratory fish. Shark tagging studies document mako sharks traveling distances of 2,000 miles and more. They are found in the Atlantic, Pacific, and Indian Oceans, in latitudes as far south as Brazil and as far north as the northeastern United States. Shortfin mako sharks feed mainly on bony fish, as well as other sharks and cephalopods (squid, octopuses, and cuttlefish). Large mako sharks will sometimes consumer larger prey, like dolphins or sea turtles. Not much is known about the longfin mako shark's feeding habits, but their diet is probably similar to that of shortfin makos. Human activities, including the inhumane practice of shark finning, are gradually pushing mako sharks toward possible extinction. 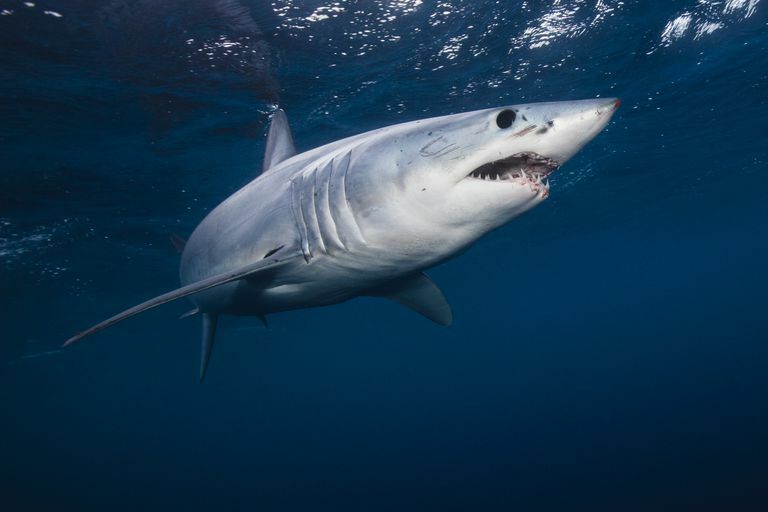 Makos are not endangered at this time, according to the International Union for Conservation of Nature and Natural Resources (IUCN), but both shortfin and longfin mako sharks are classified as "vulnerable" species. Shortfin mako sharks are a favorite catch of sport fishermen and are also prized for their meat. Both shortfin and longfin makos are often killed as bycatch in tuna and swordfish fisheries, and these unintentional deaths are largely underreported. "Shortfin Mako," University of Florida, Florida Museum website. Accessed online July 12, 2017. "Longfin Mako," University of Florida, Florida Museum website. Accessed online July 12, 2017. 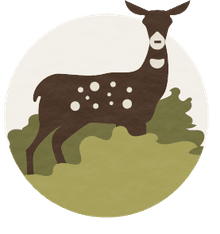 "Isurus paucus," IUCN Red List of Threatened Species website. Accessed online July 12, 2017. "Statistics on Attacking Species of Shark," University of Florida, Florida Museum website. Accessed online July 12, 2017. "Mako Shark," NOAA Fisheries Fact Sheet. Accessed online July 12, 2017. "Species: Isurus paucus, Longfin mako," Smithsonian Tropical Research Institute website. Accessed online July 12, 2017. "Ovoviviparity," Support Our Sharks website. Accessed online July 12, 2017.